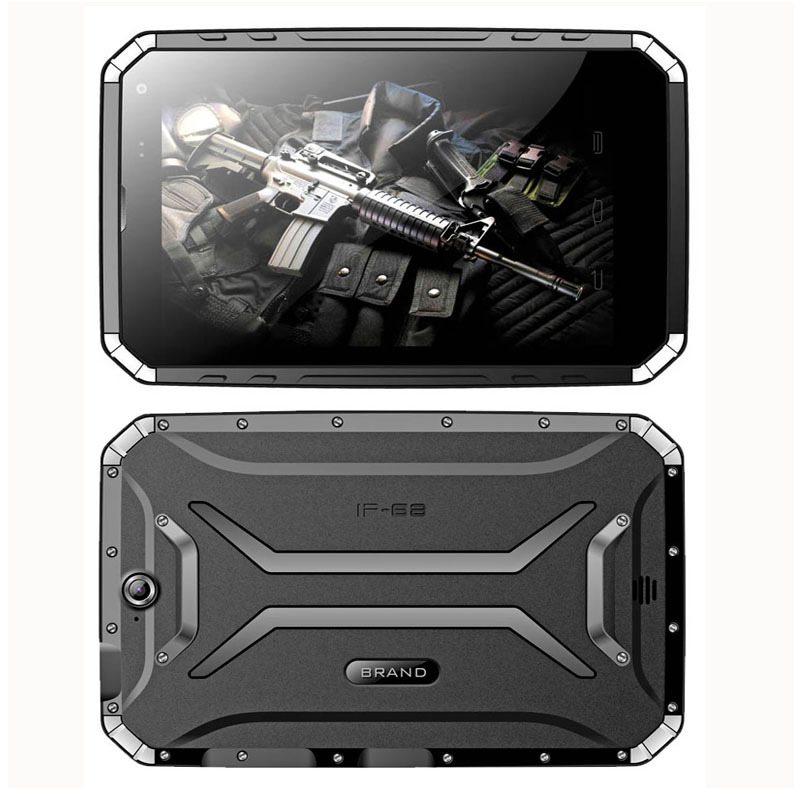 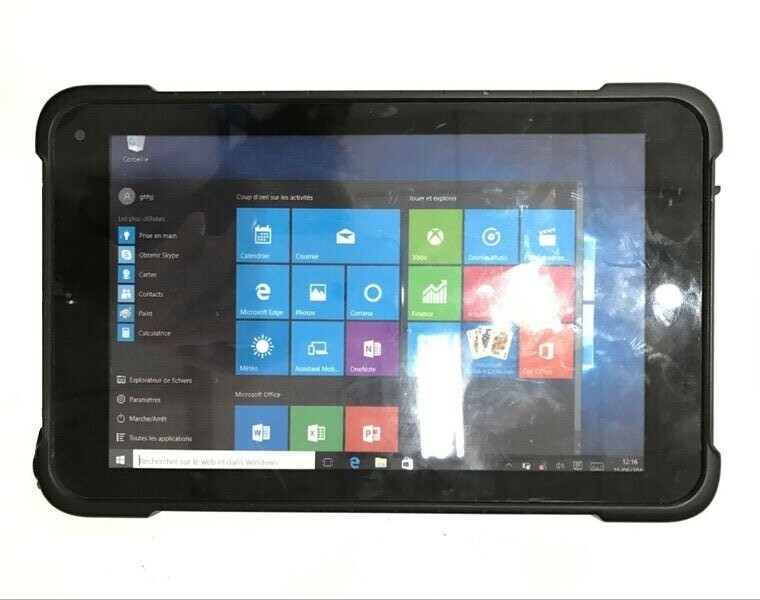 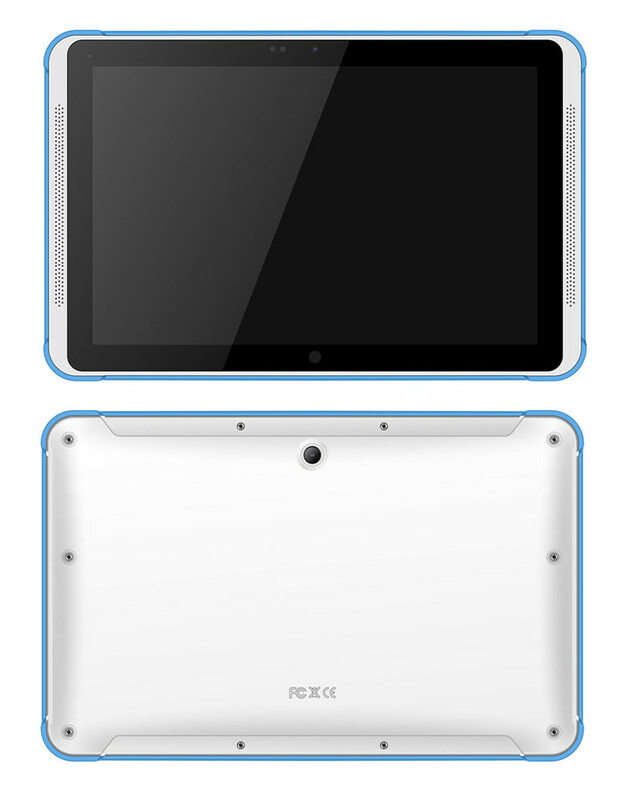 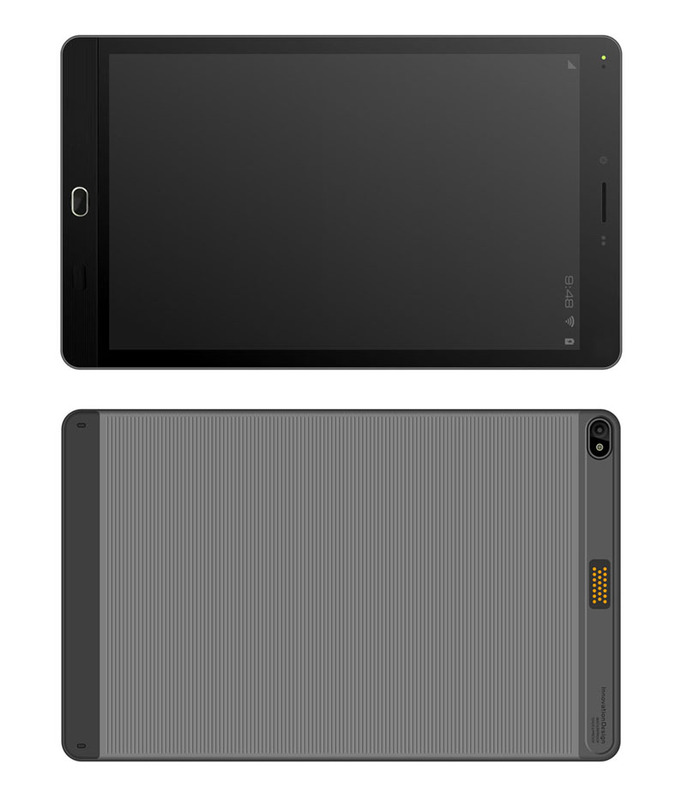 3.Display & Touch Screen: 8 inch Capacitive Multi-touch IPS screen,1280*800 Pixels;450cd/m2,450nits,normal sunlight readable; If super-bright sunlight readable,adding AR FILM is optional. 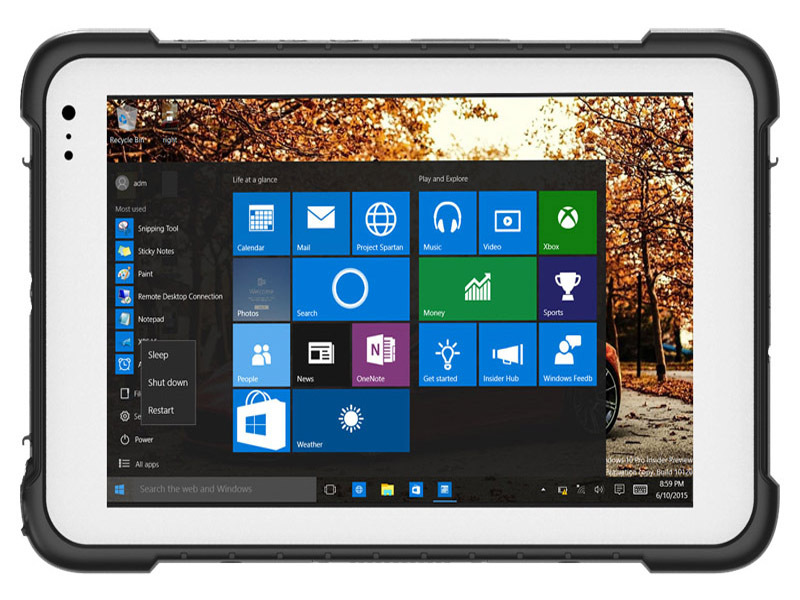 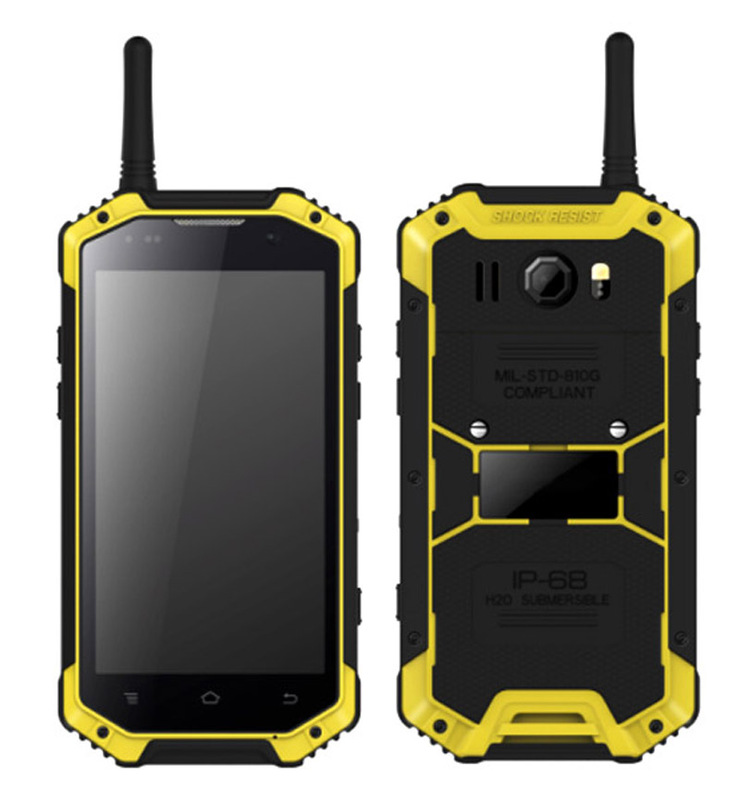 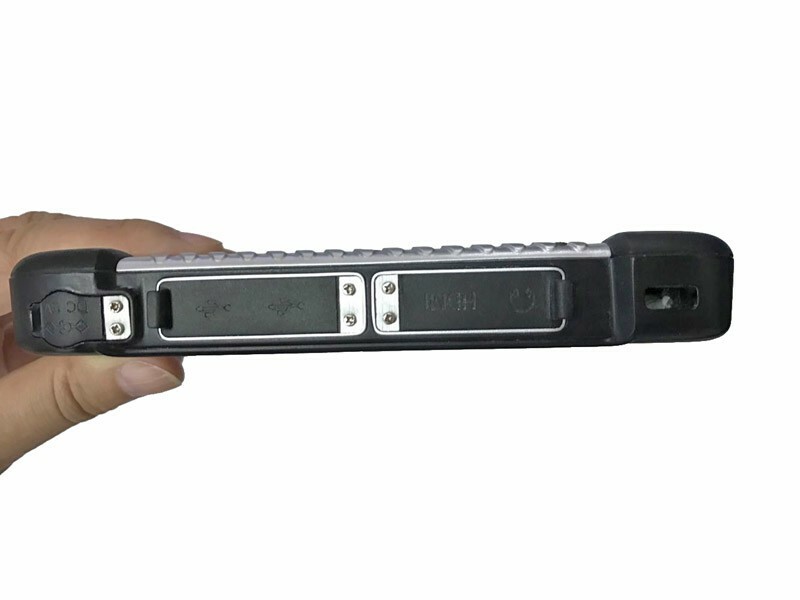 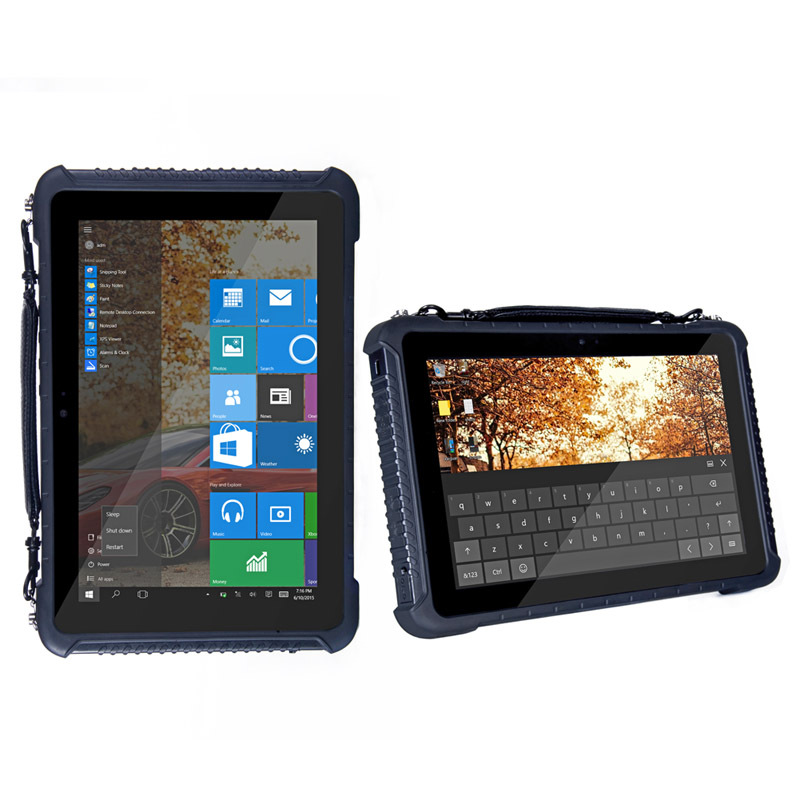 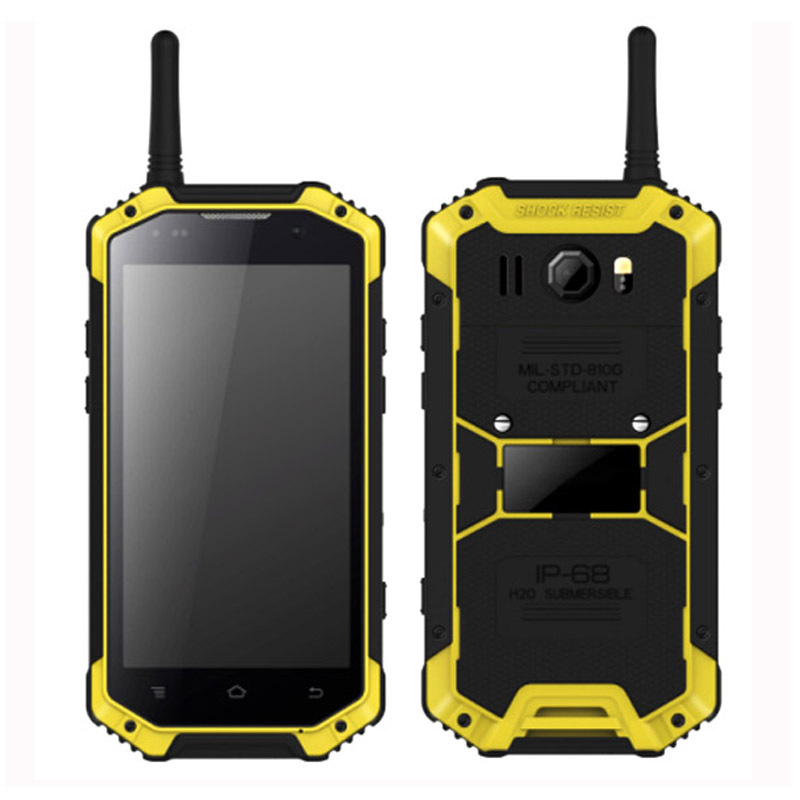 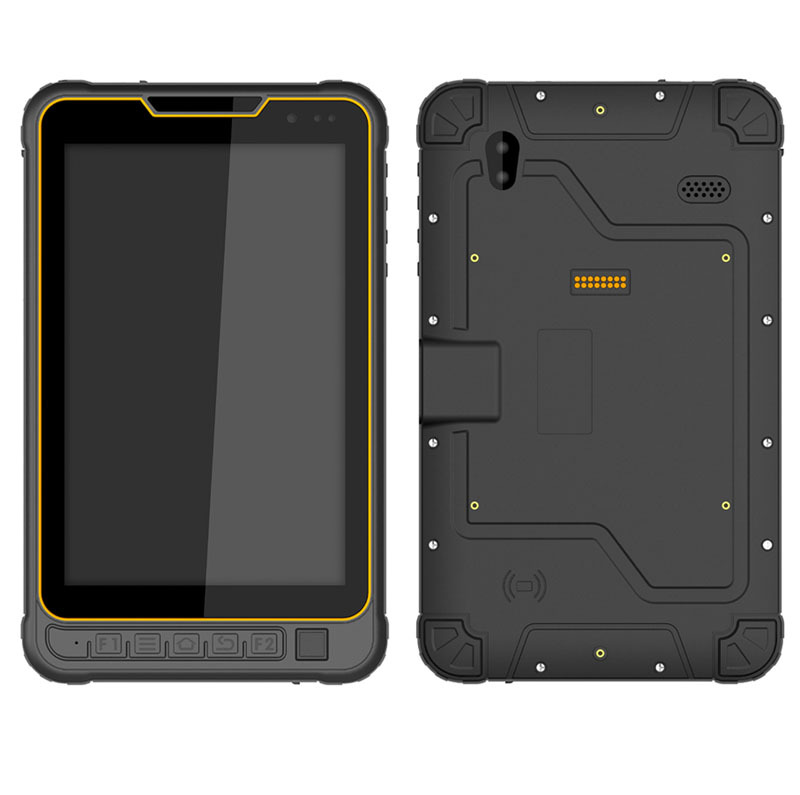 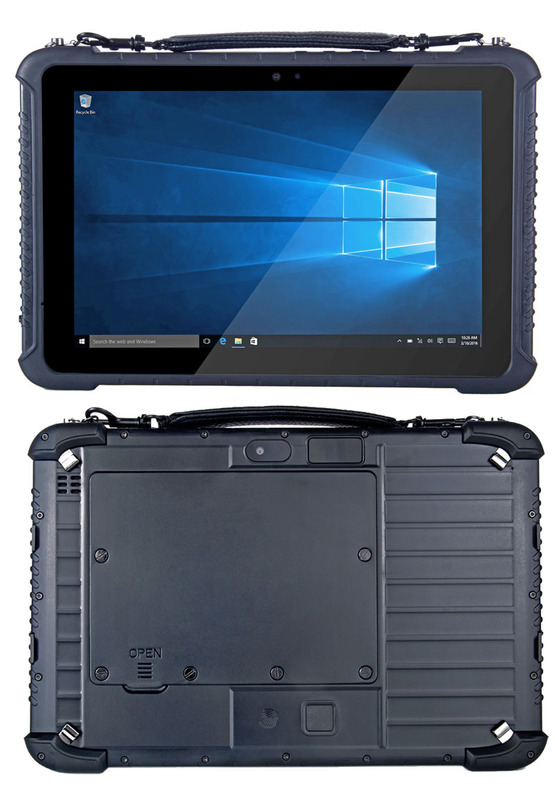 9.Rugged Durability: Waterproof and dustproof rate:IP67; Ruggedness:comply with MIL-STD-810G. 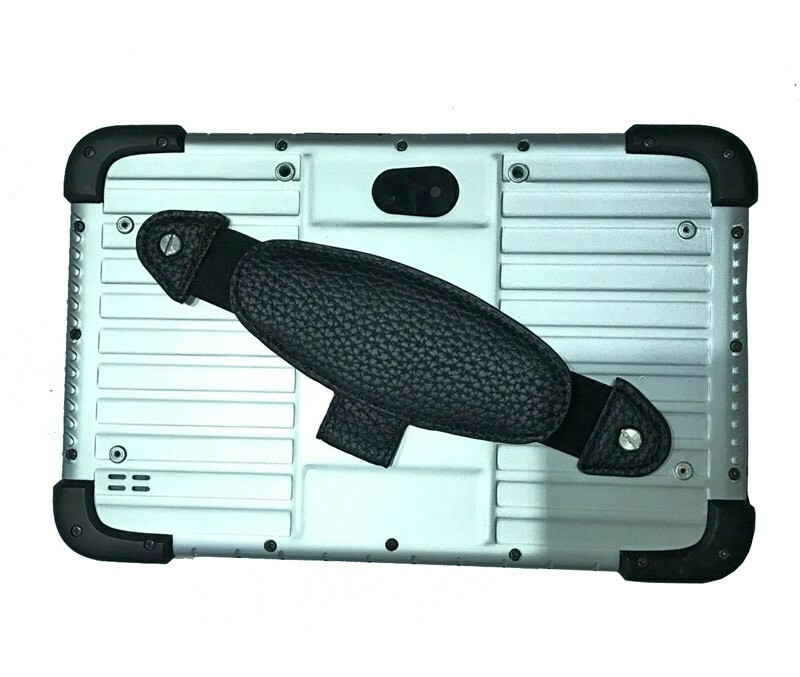 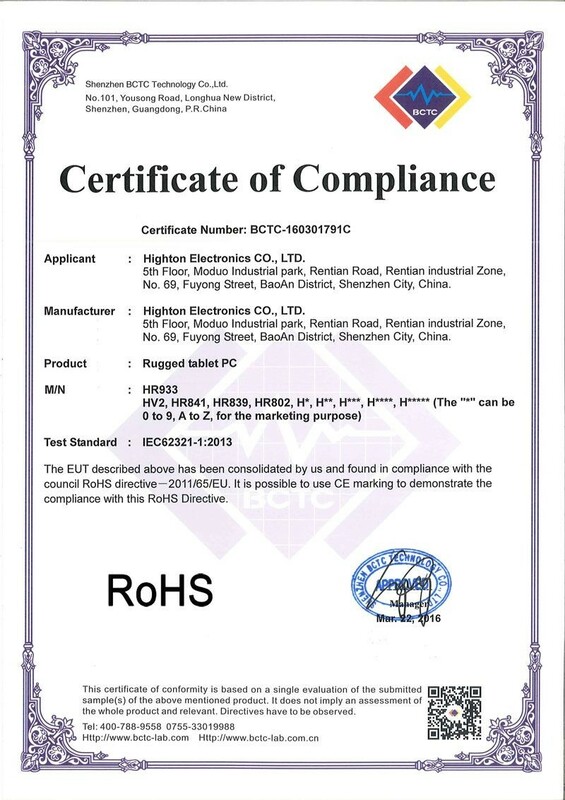 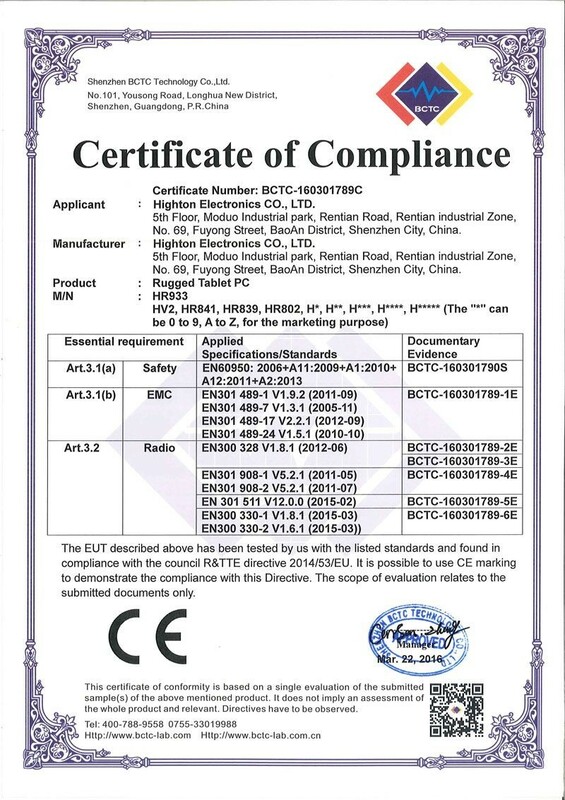 10.3G and 4G Network:Standard is 3G WCDMA 900/2100MHz,4G Frequency:FDD LTE Bands:B1/B3/B5/B7/B8/B20; TDD LTE Bands: B38/B39/B40/B41. 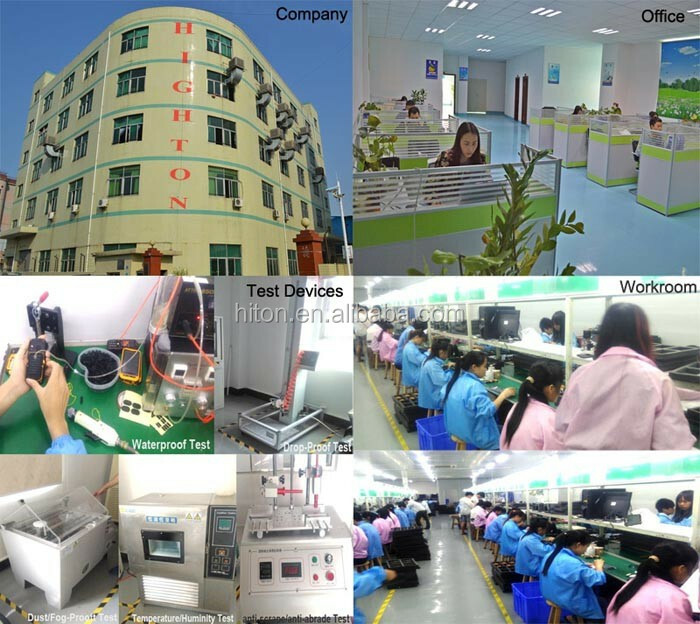 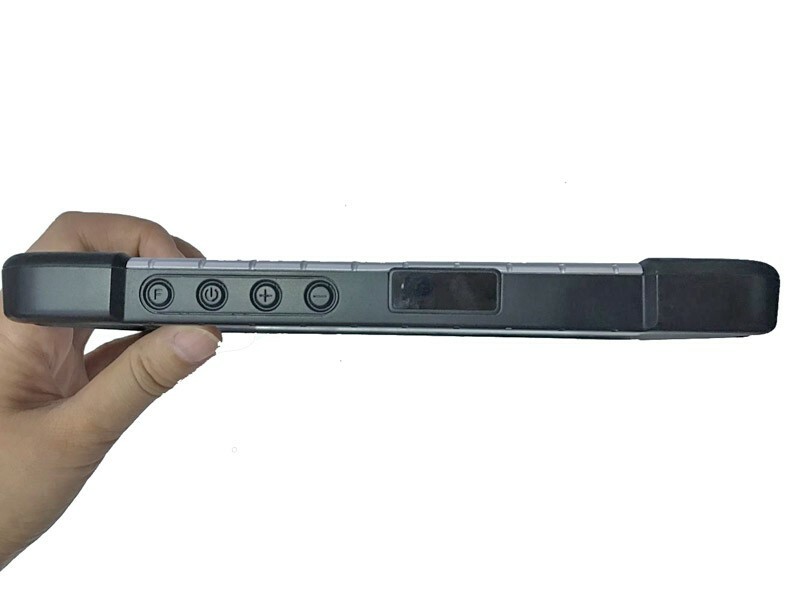 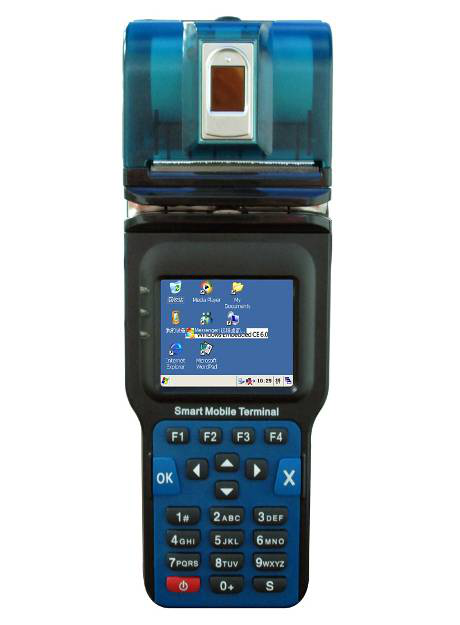 13.Moto Barcode Scanner: 1D barcode scanner is optional. 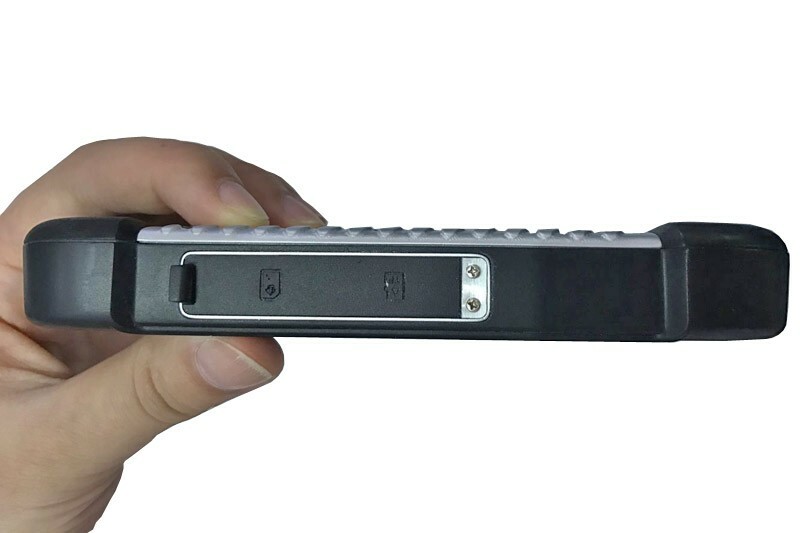 2D barcode scanner is optional. 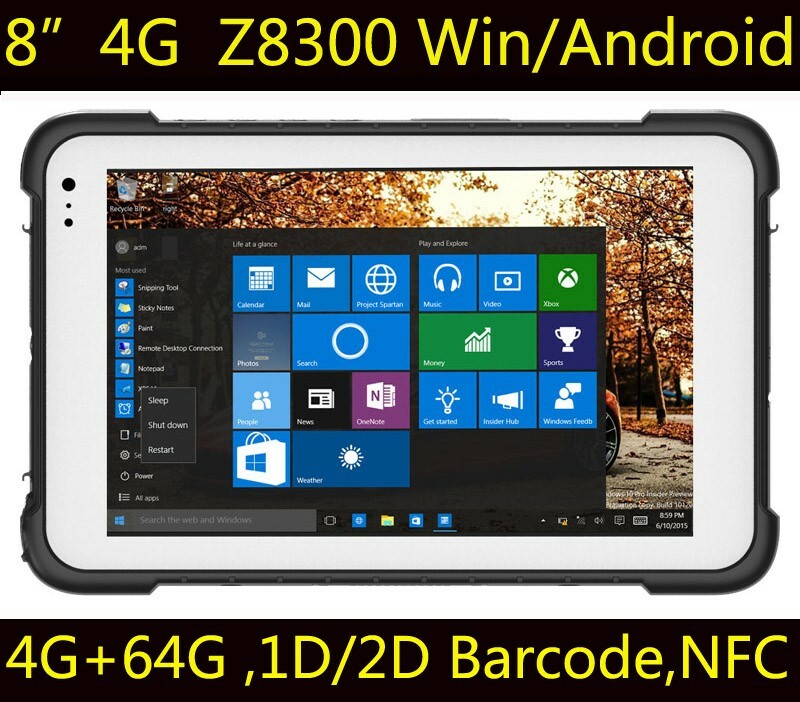 15.Dimention: 230.9*155.6*21mm, Net Weight: about 790g. 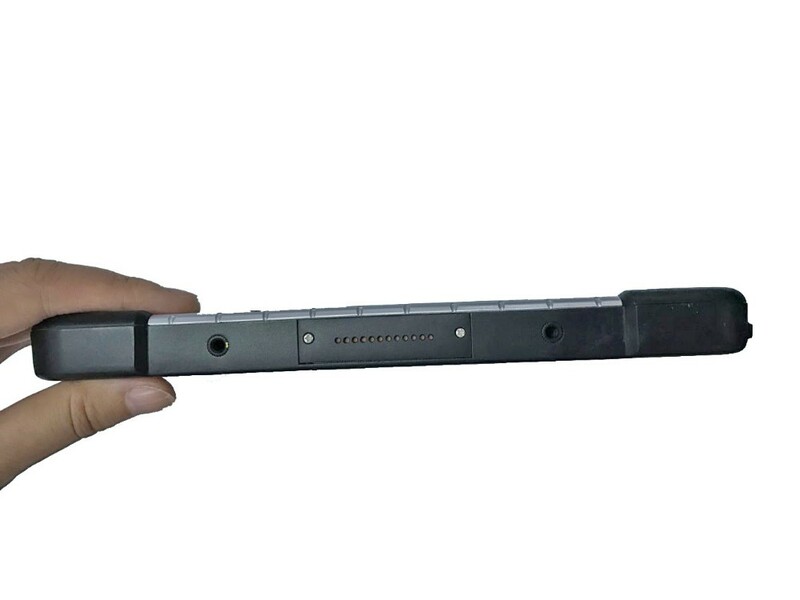 16.Handwriting Stylus: Goodix capacitive handwriting is optional.